Today’s consumers demand brands that are authentic in how they operate. They are not afraid to turn their backs on companies who break that trust. Businesses seeking to thrive today require an authentic reason “to be” that is embedded into their DNA. Employee engagement is alarmingly low. Leadership teams are floundering to connect with the new generations entering the workforce. The result: companies struggle to meet their goals. We get it and are helping companies to solve it. Our “Purpose Path to Growth” approach has helped dozens of organizations engage, focus, and grow. If purpose was easy, everyone would do it successfully. It’s tough to discover a relevant purpose and activate it consistently. We are here to help with proven roadmaps, tools and expert guides- validated across a range of companies and industries. Studies have shown that purpose is not just a nice-to-have that makes people feel good. Purpose drives business results, employee and organizational growth. It is the only sustainable way to recruit, unite and inspire. Purpose helps companies grow, creates loyal relationships with consumers and inspires employees to do their best work. We’re a team of 12 diverse experts who help companies grow by reaching their higher ideals. Through diversity of thought, race, ethnicity, gender, and culture we can see challenges in a new light and bring about unexpected solutions. Whether at an enterprise or brand level, it all starts here for us. 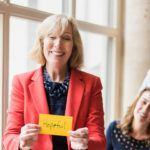 The path to purpose-powered growth requires a compelling, distinctive statement of purpose rooted in your unique values and beliefs. Around this we build the strategic choices required to drive innovation and activation. Extensive landscape review and heritage mining leads to a multifunctional workshop designed to reveal your brand or enterprise’s Purpose. Activating purpose requires making choices on how to bring it to life for stakeholders. Our approach creates accountability for delivering on set choices. Bringing a Purpose to life inside and outside requires strong commitment through all levels of the organization and deep action plans. We created best practices to ensure Purposes sticks. We guide a comprehensive, multi-functional program to apply these principles throughout your organization. We help you navigate through the pitfalls and optimize solutions of purpose activation by partnering with you on the journey. Whether you are at the beginning or in the middle of a purpose journey, JSG can help you get the answers and recommend a path moving forward. Designed to evaluate an organization’s readiness to discover and activate purpose, and identify gaps that must be addressed. Enables leaders to drive accountability by hardwiring the purpose to business and organizational objectives/goals. Your number one asset is your employees. Yet they often don’t have the skills needed to implement change. We offer customized, in-depth training sessions that are designed to ensure the development of a top performing team. Sessions can be live, digital and/or via immersion experiences. We offer sessions on customer segmentation, growth-oriented insight development, and how to build a brand framework around your purpose. We train leaders on the challenges of brand building in a digital world: Brand Portfolio Management, Communication Excellence and Assessment & Metrics. We go deep on the skills needed to achieve world class creative work from your team. This includes Inspiring Briefs, Creative Evaluation, and Agency-Client Relationships. We help with choices on Marketing Core Work & necessary Competencies, competitive advantage, creating the winning culture, and Governance. JSG consultants have successfully walked in your shoes. We understand the demands, the challenges, and triumphs of providing leadership to thousands of business and marketing professionals responsible for driving multi-billion-dollar businesses. You don’t have to walk the path to purpose alone. JSG will guide you as you explore how to “Internalize, Inspire, and Implement” purpose within your own part of the organization. On a limited basis, JSG offers one-on-one support to CEOs and CMOs seeking to step up their performance and grow in their roles as Purpose driven, growth oriented leaders. With 25-year of experience at P&G (including seven years as the Global Marketing Officer), Board Director at Motorola and Aol, founder and CEO of his own company, and advisor to over 90 clients, Jim has the experience, empathy and communications skills to captivate and inspire audiences across the globe. As one of the world’s most respected business leaders, Jim shares his experiences using purpose to unleash growth in an organization. We deliver a highly customized two-day program that enables senior marketing leaders to better deliver sustainable and endurable brand value. An intensive program designed for young marketers who want to unlock the power of creativity for themselves and their brands. We deliver a five-day intensive program designed for young marketers who want to to unlock the power of creativity in themselves and their brands. 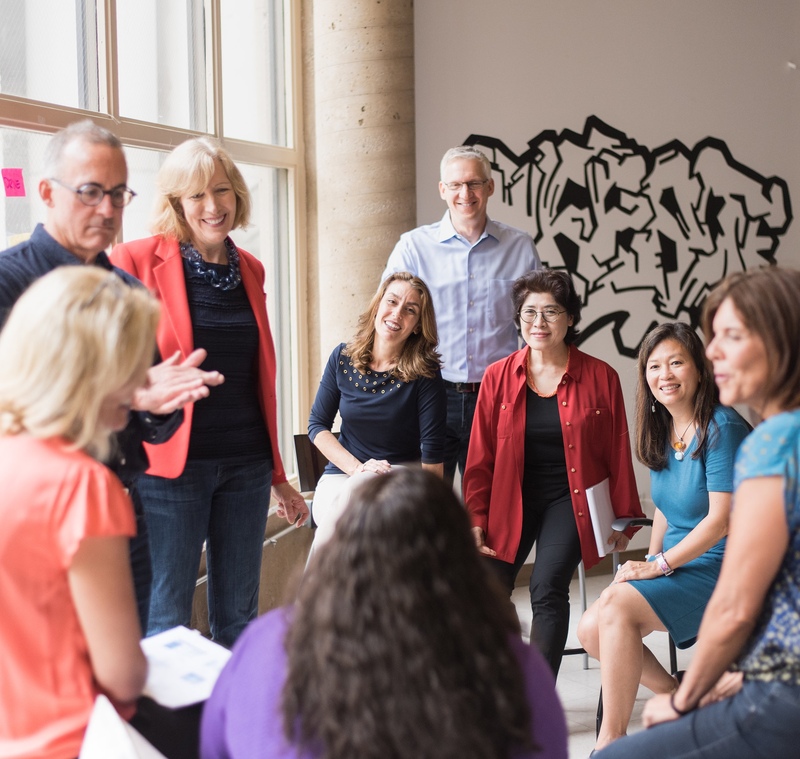 We create customized leadership development programs for the executives within your organization or in collaboration with the Kellogg School of Management. "In my experience, JSG is the go-to authority on company purpose." "Delivered an outstanding opportunity of inspiration, learning and provocativeness to our team that fueled our desire to do more." "They have been a catalyst and an inspiration in helping us be ever-more customer centric…and to help us prepare for the future."